Can Your Home Finance Your Golden Years? If you’re approaching retirement or just starting to save for retirement, it’s essential you’re building a financial plan that includes your home and associated expenses. Many people use some of their retirement income to pay off their house. In fact, the Employee Benefit Research Institute indicates that 43% of total spending for individuals 75 years and older are allocated toward maintaining the home. On average, individuals who enter retirement have a net of over $300,000 with a home or equity in a home, and this usually is half of their assets. Some people won’t tap their home equity for income after paying off a mortgage, and many are even less likely to move into a home that is less expensive following retirement. But, according to some experts, retirees should think twice about using a paid-off house for retirement income. Selling a home can be an emotional rollercoaster, especially if you’ve lived in the home for a few years. Still, selling a home, purchasing a less expensive option, and using the net profit from the sale can be an excellent way to bolster retirement income.Plus, moving to a smaller home reduces home care costs, helping retirees save money in the long run. In addition to Social Security, a Roth IRA, and 401(K), considering all of these options are available, money earned from a house sale is certainly a helpful bounty for the future. A reverse mortgage may be another option for using the home to finance retirement years. Although often considered as a last resort, reverse mortgages help homeowners receive a lump-sum payment or a line of credit. Homeowners must be diligent in paying the taxes, however, as well as any maintenance costs of their home. In this situation, it’s best for homeowners to work alongside a trusted and reliable financial planner. If you’re trying to decide whether or not you can use your home to help pay for future expenses, you may have quite a few questions. At The Elder Law Firm PC, we’re here to help guide your way through the confusion while helping you develop a strategic plan of action that will help cover potential costs later down the road. 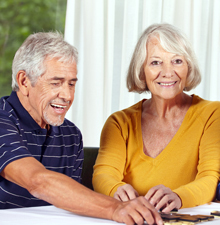 We can also assist you in learning more about Medicaid and Medicare, if necessary. If you have a question long-term financial planning, health insurance, or long-term care, please call us at (877) 933-7252. 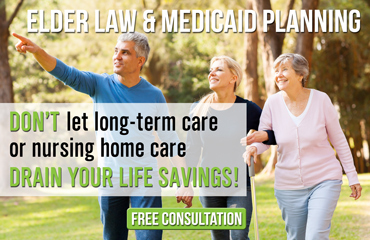 If you’re a residentofthe Grand Rapids area, feel free to attend a free seminar led by attorney The Elder Law Firm PC regarding Medicaid planning. Call us today to reserve your spot. If you’re trying to decide whether or not you can use your home to help pay for future expenses, you may have quite a few questions. At The Elder Law Firm PC, we’re here to help guide your way through the confusion while helping you develop a strategic plan of action that will help cover potential costs later down the road. We can also assist you in learning more about Medicaid and Medicare, if necessary. If you have a question long-term financial planning, health insurance, or long-term care, please call us at (877) 933-7252. If you’re a resident ofthe Grand Rapids area, feel free to attend a free seminar led by attorney The Elder Law Firm PC regarding Medicaid planning. Call us today to reserve your spot.